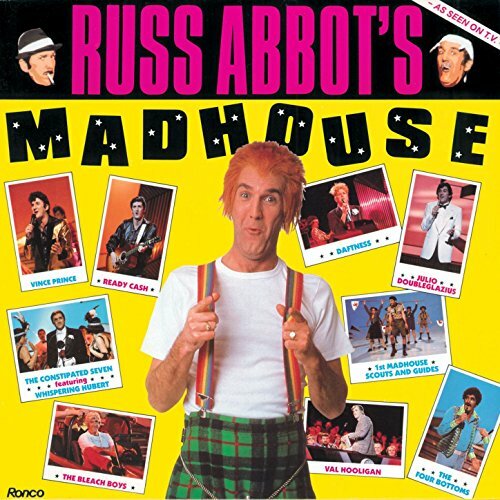 While not everyone will remember this single, anyone who grew up in the 80s will definitely remember Russ Abbot's Madhouse or The Russ Abbot Show. 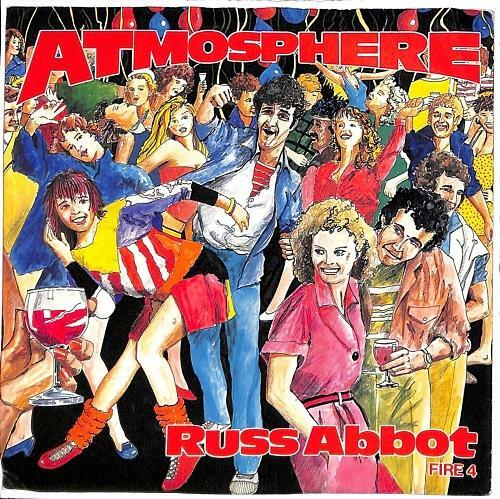 "Atmosphere" was Russ Abbot's biggest hit single (nope, he wasn't a one hit wonder), reaching No.7 in the UK singles chart on 3rd February 1985 for one week. The single spent four weeks in the top 10, which was a decent outing considering he was competing with major artists such as Prince, Madonna and Tears for Fears. Indeed, the winter of 1985 was a time when well-established artists were dominating the charts with some pretty serious music, and a light-hearted party song by a British Icomedian felt refreshing at the time. Okay, the song has a cheesy arrangement that sounds like the preset of a cheap casio keyboard, Abbot's voice is slightly suspect, and he's wearing a naff jumper with rolled-up sleeves in the video. But apart from that, what's not to like! I have always been a little bemused by the nature of the song. Russ always had a cheeky grin, so was he deliberately being cheesy in the video, or just looking his normal self? Was it a comedy song or a serious attempt to become an established pop artist? Well, maybe it was both, because "Atmosphere" wasn't the comedian's first attempt to have a chart hit. His debut release in 1980 was was a comedy single. "Space Invaders Meet the Purple People Eater"/"Country Cooper Man" was a double-A side that failed to chart. His follow-up single wasn't released until 1982. "A Day In The Life of Vince Prince" was slightly more successful, entering the chart at No.61, and then re-entering again two weeks later at No.75 for just one week - two weeks in the chart, now we're getting somewhere! His follow-up single wasn't released until 1982. "A Day In The Life of Vince Prince" was slightly more successful, entering the chart at No.61, and then re-entering again two weeks later at No.75 for just one week - two weeks in the chart, now we're getting somewhere! "Atmosphere" was Abbot's third solo single, and was the first one where he sang as himself - the previous singles saw him singing as his comedy character Vince Prince. It featured on his second album I Love a Party, which reached No.12 in the UK album charts. The album featured many covers, including "Runaround Sue", "Y.M.C.A", Monster Mash" and "Uptown Girl". 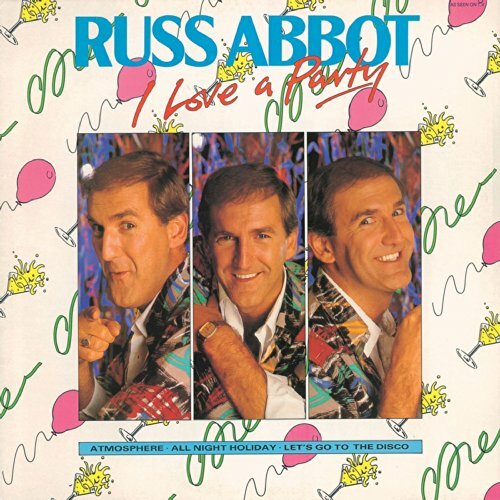 His debut album Russ Abbot's Madhouse was released in 1984, but was a commercial flop. It featured Russ singing as one of his comedy character's, or in the style of a famous musician or band, including Val Hooligan, Julio Doubleglazius and The Bleach Boys. Hmm, this sleeve would never see the light of day these days, as that young lady wearing leg warmers and bending over in front of Abbott would definitely not make it past the PC brigade! The video has a party atmosphere (as you would expect!) and is a simple affair. It features Russ dancing amongst a mostly young crowd at a party, wearing that aforementioned jumper. The opening is the most interesting part, where Abbott enters on his bike, but there's little else going on. It's rather unimaginative and disappointing, to be honest. "I Love A Party With A Happy Atmosphere, So Let Me Take You There, And You And I'll Be Dancin' In The Cool Night Air!". Well, the lyrics are pretty self-explanatory and serve their purpose, and like the video, they're pretty simplistic. One noteworthy part "Frankie's got his band, huh!" refers to Frankie Goes To Hollywood's "Relax" single. A fourth single "All Night Holiday" gave Abbot his second and final chart hit, reaching No.20 in the UK. A final single was released in 1985 entitled "Let's Go To The Disco", which failed to chart. In 1990, a third album was released entitled Songs of Joy, which failed to chart. In 2009, Abbot released a remixed version of "Atmosphere" enititled Basildon Bond's Madhouse Mix.